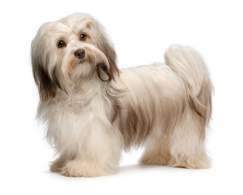 The Havanese was bred to be a companion dog in Cuba during the 1800s. 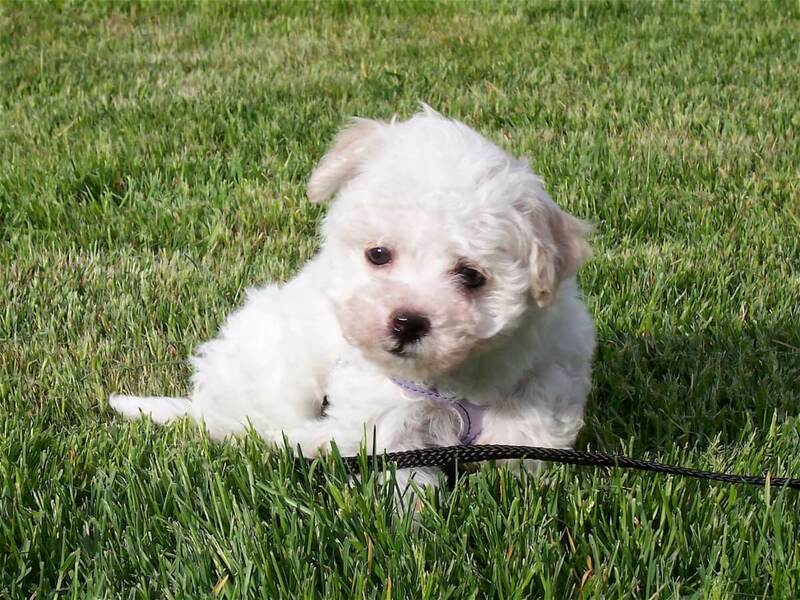 The breed is extremely affectionate towards its family, other dogs, and even cats. Unlike other small dog breeds, the havanese generally doesn't develop jealousy or become territorial towards other pets. 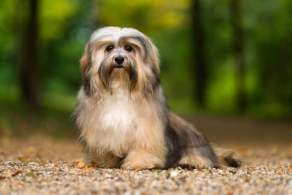 Below are the details and specs for the Havanese dog breed. 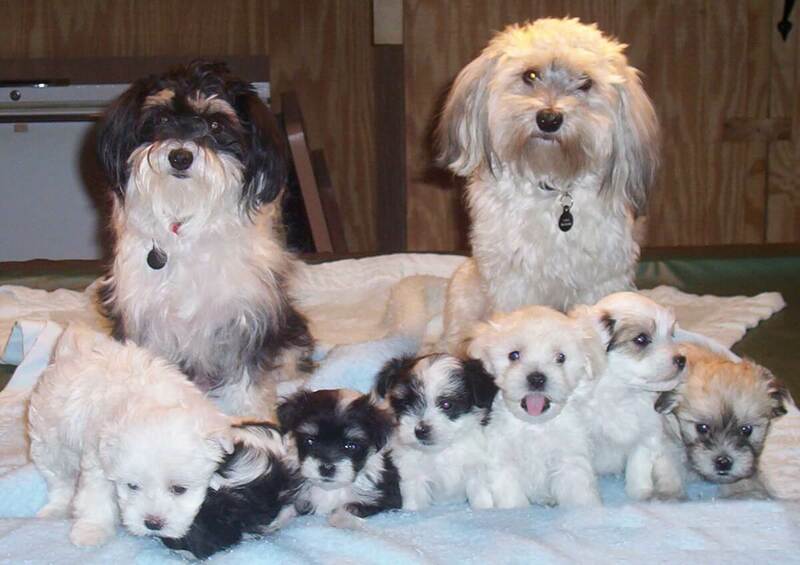 The havanese is a small sized dog breed. Adults stand 8 to 11 inches tall from ground to shoulder and weigh between 7 to 13 pounds. 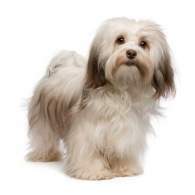 This size makes the havanese an ideal dog for families living in space-limited homes such as apartments and condos. 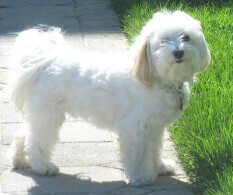 Keep in mind that the havanese is not an outdoor dog as their small size makes them a potential target from predators. 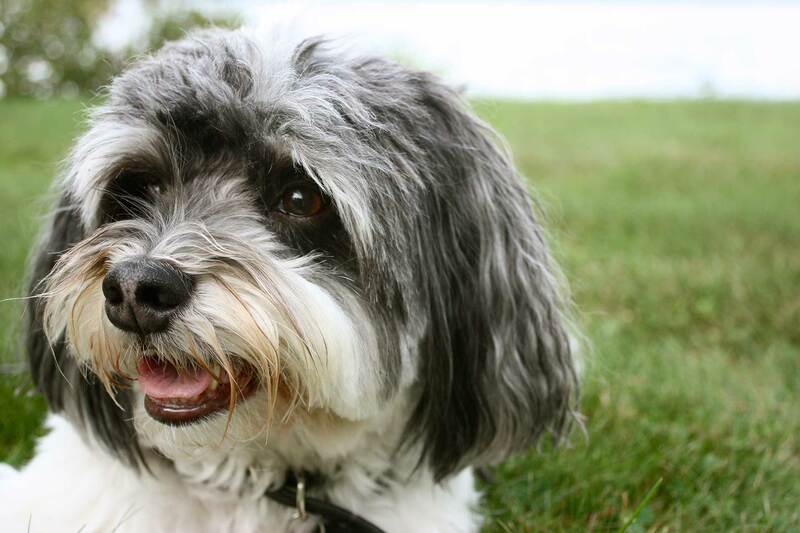 Since the havanese was originally bred to be a companion dog, they crave companionship. Havanese left alone become anxious and develop separation anxiety so the breed is not recommended for families that spend large amounts of time away from home (unless they bring their dog(s) with them). 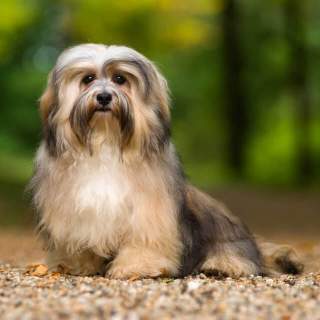 The breed is excellent with children, although the havanese's small size makes them more fragile than larger dogs so children can't be too rough. Havanese get along well with other pets and another pet can help give the havanese companionship while its owners are gone. Despite the breed's small size, havanese are a medium to high maintenance dog. Their coat requires daily brushing and grooming to keep mats from forming along with regular clipping. 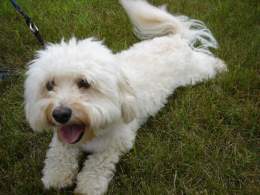 Havanese are also fairly energetic. The breed will need daily walks to meet their exercise requirements. Below are pictures of the Havanese dog breed. Below are common health issues with the havanese dog breed.